The last time I wrote about my bad back pain, I left you with the idea of a long road to recovery. As I write this today, I am lying on the couch recovering from yet another episode. But I am not going to begin here, I am going to continue my story about my journey from where I left off in My Bad Back Journey Part 1. My Bad Back Pain Continues, but with HEADACHES! I had just had my second child and had just finished water therapy. Things were starting to get better…with my back. That is when the headaches began. I was sitting in a chair in the driveway, watching my kids play, my back feeling pretty good. I began to get a headache, but not like any headache I had ever had before. It was pounding so hard that it made me feel like I was going to pass out or puke. When I would stand up, I would get dizzy but standing actually made some of the pounding go away. These headaches went on for months and months. I would have such bad headaches that I could only lie completely flat. Sitting was absolutely horrible. Laying down with my head on a pillow was horrible. I would get pain, numbness and tingling down my arms and into my fingers. So I got an MRI. Guess what… There was nothing wrong with my discs or my brain. Go figure. That was the same thing my MRI said about the discs in my back. I had no bulges or herniations. I saw a neurologist who told me I must have a leak in my spinal fluid. He told me I needed to take sodium supplements to keep my blood sugar up and drink tons of caffeine. As a matter of fact, he told me that he takes nodos every day and would recommend them to me too. Huh? His suggestions sounded completely opposite of everything I had ever learned about being healthy. I tried both of his suggestions, but neither one helped. So I saw yet another physiatrist that sent me to physical therapy for my neck. Then, I started doing physical therapy for my neck and things started to get better. But then, of course, things fired up with my back again. I couldn’t seem to catch a break. By this point, I was in a very bad place in my life. The pain was inescapable. Pain meds were not an option I wanted to try. I tried many other medications that did not work, but they did manage to give me lots of side effects. I really truly felt that nobody could help me and that I was doomed to a life of pain. Anger, depression, fear, sadness, and frustration became my everyday emotions. I wanted to give up on everything. My hope for recovery was gone. This was by far the darkest time in my life. My husband and my mom saw me through all of this horrible turmoil. They saw all of my highs and super duper lows. They kept me searching and when I couldn’t search myself, they would search for me. Whether it was another doctor or therapist, herbal supplements, acupuncture, they were both determined to see me triumph over this pain. So this time I saw a Rheumatologist. She was awesome and probably one of the only doctors I have seen that didn’t just tell me I had something related to their field of expertise. She ran blood tests for autoimmune diseases and found nothing, so she told me to see a physical therapist and a sports medicine doctor. So I did. I was diagnosed by the sports medicine doctor as having piriformis syndrome. Therapy started for my piriformis. . . And I got worse. Then I began seeing someone who specializes in “reactivating” muscles through massage. I also began seeing deep tissue massage therapists, acupuncturists and a holistic doctor. Believe it or not, I started to have periods where I would feel better and not have pain! I began to think and think hard. About symptoms I had when I was a teenager, or after marriage. Symptoms I remember from before everything got really bad. I started to think about my pain in a different way. It couldn’t be discs, my MRI’s said so. So I started to believe it was all muscle. 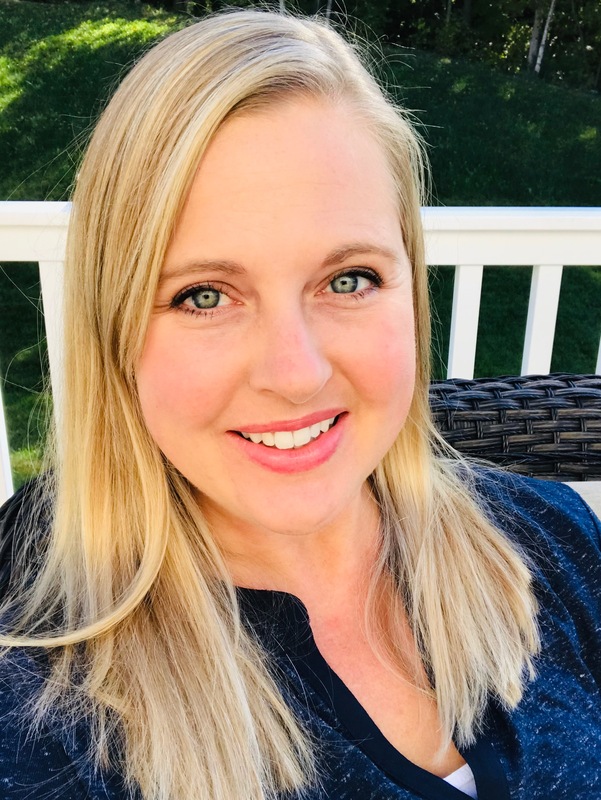 I started to think back to the only time I was able to really start feeling better since my second child and that was after doing water therapy. I decided to go back to that therapist. The one that had gotten me moving again after giving birth to my son, and see if she could help me since nobody else could. I had just started seeing a new internist. He wrote my script to the therapy office as “Diagnose and Treat”. This is very very important to remember if you are having problems with your body…“Diagnose and Treat” on the therapy prescription. The same therapist from the water therapy was unavailable, so I signed up with a different one. But God must have been looking out for me because this therapist is now the only therapist I will ever see. And this is where that “Diagnose and Treat” prescription comes in …she didn’t have some prescription from a doctor to treat me for one specific problem. Because of that, she could correct any and all of the imbalances I had in my body. By the time I saw her for the first time, after all of the other therapists and doctors and massage therapists, and acupuncturists I had seen, plus laying flat on my back for months from the pain, I was so weak I could hardly do any of the exercises that needed to be done to correct things. She started me at the very basic of basic core exercises. And because of her, I can say I went an entire year! YES! ONE WHOLE YEAR without any major flare-ups or major pain in my neck or head or back! She was a miracle worker! To this day, I still havemy bad back pain. But not severe pain and definitely not every day. I have to massage out my piriformis almost every day and I still have to be careful about the things I do. I am in no means cured of whatever was causing all of my problems, but I am so much more functional now. I can clean and cook. I have gone hiking with my kids and can go for a walk around the neighborhood. I can stand for an entire day without fatiguing. I can volunteer for things at the school that require me to be on my feet for longer periods of time. Looking back on everything I have been through, I cannot say that any one diagnosis or treatment stands out in my mind as being totally right. At the same time, I cannot say they were totally wrong either. My symptoms were so all over the place. I would correct one problem and another would start. But throughout all of it, I do believe that I became so weak that it started a downward spiral. My hips have been off since before I had my first child. I am not sure if that is what caused everything or not. But in the end, it seems to be the thing that finally helped me the most. I also learned that there were other things playing a role in my pain. Such as stress, emotions, and depression. My reason for writing this blog post is not for people to feel sorry for me. I have had enough of that over the last 12 years. The reason for this post is to give others out there hope that they can figure out what is causing their problems. 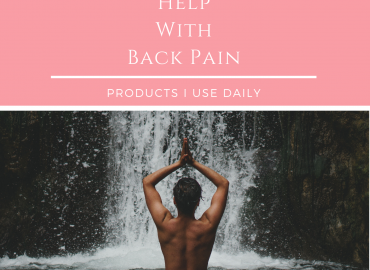 Whether it is bad back pain or bad neck pain or just a problem in their life that they need hope to push through. I did not journey through this easily and I did not do any of this alone. My mom and my husband have been there to listen to me cry and convince me to keep pushing for answers and not give up. My dad and my father-in-law helped me with my kids any time I called them when I couldn’t do things myself. My aunts have cleaned my house for me on occasion and cooked food for me and my family. All of these people are the reason I could keep going. Find your support system and keep pushing to find answers. Someone in this world can help you. You just have to find them. Don’t be afraid to use your own brain. I had to research and learn so much about my body, therapy, and drugs, that I could probably teach a course on it. I pray that each of you finds the right path and if you ever want to chat, please email me. I would love to help you find the path you need to take to get you well. P.S.- If you missed the beginning of this story, you can read My Bad Back Journey Part One here! 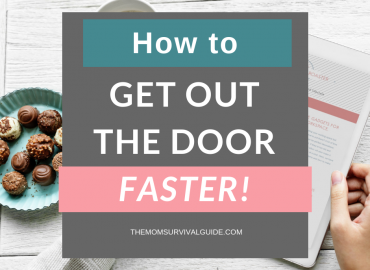 Get Out The Door Faster – With Kids!